While DEID’s scope has been primarily focused in developing nations, DEID will be starting its domestic campaign with the Durham project in 2015. Our organization recognizes the importance and value of staying rooted in the community and addressing the needs of those around us. There are areas of Durham that are greatly under resourced and we as engineers see the potential to achieve an innovative and resourceful project right at home. Because the Durham project is a new initiative, our team is starting from the ground up to develop a project for this coming year in conjunction with a community partner. Our project has four crucial stages that are set to be completed by the end of June. The first stage is a selection process to find a community partner and identify a need of the community. The second stage is the formulation of a project and engineered design directly in our Duke facilities. The third and final stage is the implementation. Unlike the traveling projects, we will be implementing the project on a regular basis during the spring semester and so we will have an extended focus. DEID Durham is partnering with the Ellerbe Creek Watershed Assocation (ECWA), a local organization that works to preserve a naturally thriving creek that serves the Durham community. The project will use innovative engineering techniques to remove debris and waste from Ellerbe Creek, a large tributary of the Neuse River that runs throughout Durham and flows intro Falls Lake. This lake serves as a source of drinking water for the city of Raleigh, a flood-control area for eastern Carolina, and a community recreational area. As such, the abundance of litter in the creek that travels downstream to the lake is a serious problem. The team will be developing three models of varying size and capabilities that will be tailored to specific types of areas along the creek and tributaries. 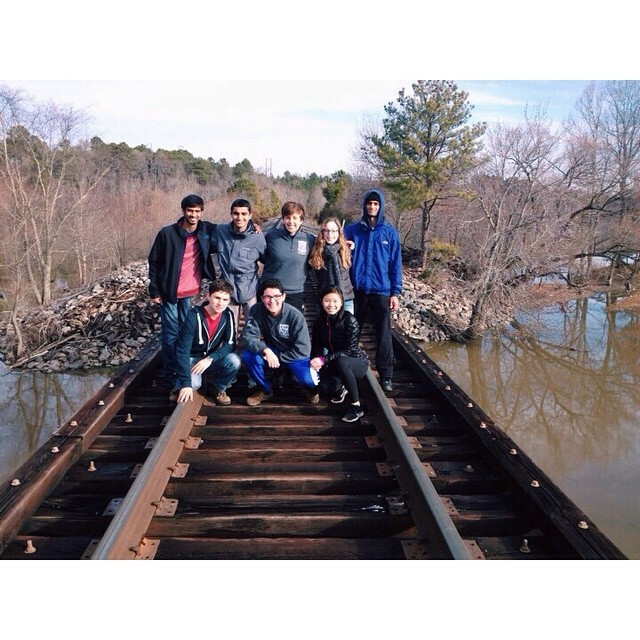 The team, composed of fifteen undergraduate Duke students with a variety of academic focuses, will be designing and implementing the project during the upcoming year under the oversight of Duke University civil and environmental engineering professor, Dr. David Schaad. Upon completion of the project, we hope to see a tangible impact in a community that we can easily visit. We anticipate that with the success of this year’s project we will continue our work in Durham in the next few years! This project will be open to volunteers from Duke who are not part of DEID, as we want to encourage civic engagement among students on both a local and an international level. If you are interested in joining our team, please contact project leaders Aibi Janat (aibolat.janat@duke.edu) and Elsie Ling (elsie.ling@duke.edu). We meet every Saturday at 12pm in The Edge.